Find a cheap toaster. The best toaster deals from our community of bargain hunters. 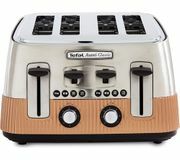 Two-slice or four-slice toasters from Argos, Curry's, John Lewis and more. Tefal brand, Kenwood and cheaper alternatives too. Whether you go for the retro-style or a vibrant colour, our money saving experts have all the tips and tricks to help. 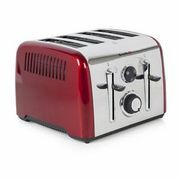 You may also be interested in our kitchen appliances section. Ovation Kettle & Toaster Set - 3 Colours! **HURRY** 70% off Sausage and Bun Toaster! !